Based on the book by James R. Hansen, First Man offers a first-hand account of Neil Armstrong’s sacrifices & achievements that speaks about NASA’s mission to land a man on the moon! Oscar winning director Damien Chazelle (La La Land) & actor Ryan Gosling have re-teamed for this project for which Steven Spielberg served as the executive producer! Nearly 50 years ago, 530 million people around the world were transfixed in front of their television sets as this monumental accomplishment of human ingenuity was realized. Goodwill messages were sent by 73 countries on a silicon disc that travelled to the moon with the Apollo 11 crew and left there. The movie celebrates this human endeavour and accomplishment, not specifically the American team who pulled it off but an incredible moment in human history that has never been the subject of a feature film before. 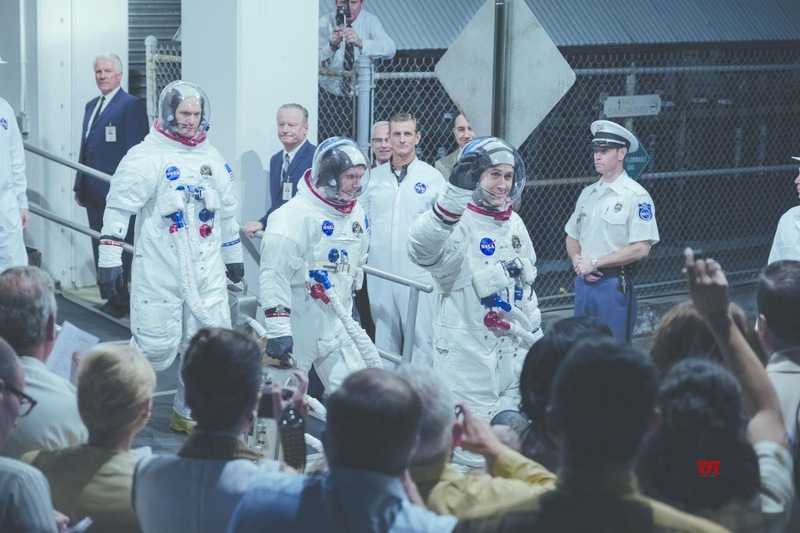 First Man premiered as the opening film at the prestigious 75th Venice Film Festival and received rave reviews from viewers and critics alike. 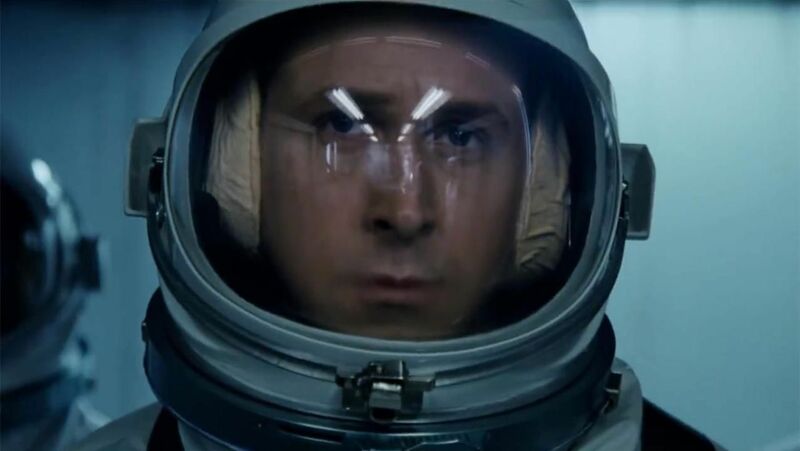 Ryan Gosling portrays the character of astronaut Neil Armstrong, the first man on moon. The film highlights the struggle and sacrifices made by Neil Armstrong and his family in order to fulfil what was considered an impossible mission. A visceral, first-person account, First Man is based on the book by James R. Hansen. Ryan Gosling is joined by noted actress Claire Foy who plays the role of Neil Armstrong's wife - Janet Armstrong. The men-in-command of these early missions are-Kyle Chandler (Game Night), as Director of Flight Operations, Deke Slayton & Ciarán Hinds (Tinker Tailor Soldier Spy) as Bob Gilruth, the first Director of the Space Center. They are joined by Lukas Haas (The Revenant) as command space module pilot Mike Collins and Cory Michael Smith (TV’s Gotham) as Roger Chaffee, Grissom and White’s fellow ill-fated comrade on the Apollo Command Module, which was destroyed during a pre-flight test at Cape Canaveral. Also joining the performers is Olivia Hamilton (La La Land) as Pat White, who serves as a daily reminder to the closely knit neighborhood of the real threat they’re all facing. Releasing in 2D, IMAX-2D, 4DX-2D in 5.1/7.1 & Atmos.